Your transformer fluids are critical in that they act as both coolant and insulator. Therefore, it's imperative that their integrity is maintained. Transformer Inspection Retrofill Corp. is a recognized expert at assessing the quality of these fluids, and, if necessary, retrofilling with fluids that exhibit the right chemical makeup to assure the continued proper functioning of your transformer. Of course, you could choose to ignore making these assessments - in which case, you'll end up calling someone like Transformer Inspection Retrofill Corp. to perform much costlier services. We feel comfortable in telling you that we honestly believe that no lab in our industry can do a better job than ours when it comes to the testing and maintenance of transformer fluids, the handling and disposal of PCB's, and all of the EPA compliance services we provide. 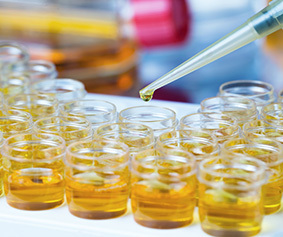 Our laboratory tests fluids to ASTM standards. Tests include dielectric strength, neutralization (acid) number, interfacial tension, color/clarity, specific gravity, moisture content, dissolved gas and PCB analysis. The ability to withstand electrical stress. Acids are formed as by-products of oxidation or sludging and are usually present anytime oil is contaminated. The interfacial tension of oil is the force dynes per centimeter required to rupture the oil film existing at an oil–water interface. 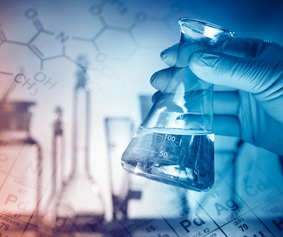 When certain contaminates such as, soaps, paints, varnishes and oxidation products are present in the oil, the film strength of the oil is weakened, thus requiring less force to rupture. This test gives us important information relative to the condition of the oil. This test is significant when there is a marked change coupled with the other mentioned tests. Simply that, testing for moisture that has been introduced either by defective gaskets, seals, or pressure regulators. The primary mechanisms for the breakdown of insulating fluids are heat and contamination. An unacceptable insulation resistance value will tell you only that the insulation’s resistance is not what it should be and it is hard to draw any conclusions as to why the insulation is deteriorating. The standard ASTM tests for insulation fluids will provide information about the actual quality of the oil, but the cause of the oil’s deterioration must be determined by further investigation. Detection of certain gases in an oil-filled transformer is frequently the first indication of a malfunction. Dissolved gas in oil analysis is an effective diagnostic tool for determining the problem in the transformer’s operation. The final essential property that should be checked. This is simply a ratio of the mass of a given volume of liquid (oil) to the mass of an equal volume of water at specified temperatures. The test is normally conducted by floating a hydrometer in the liquid and taking the reading at the meniscus. If the reading would be over 1.0, then the oil probably contains some contaminant-quite possibly askarel (PCB) or silicone; if less than 0.84, then the oil may be paraffinic oil. To schedule an inspection or fluid testing, please contact our office today. The contents of this webpage are Copyright © 2019 Transformer Inspection Retrofill Corp.. All Rights Reserved.